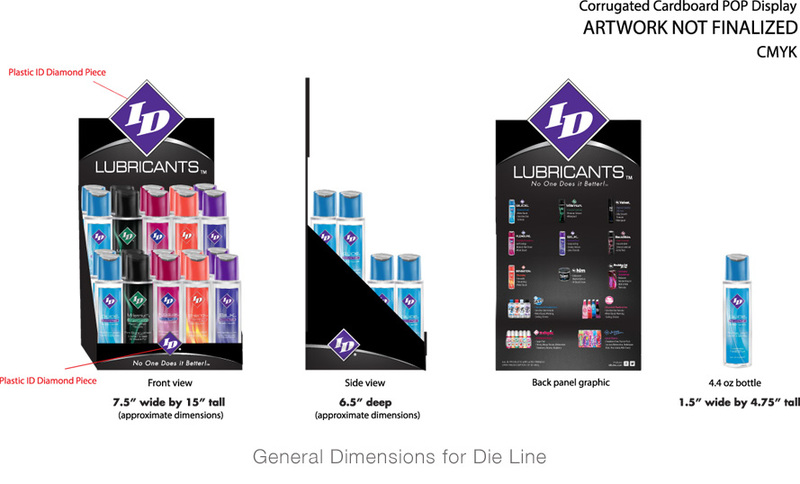 A POP display for a variety of ID Lubricants® products. Originally designed to hold the core line of 4.4oz bottles that are all the same size and shape. The owner of the company decided to include ID Frutopia® bottles, which I personally think look a little out of place.